Grayson Allen, Tony Bradley sit out as Utah advances. 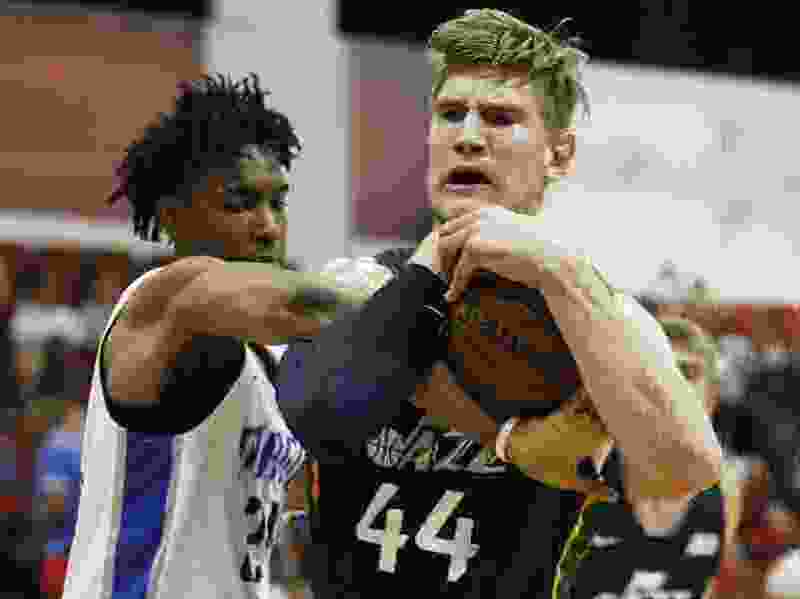 Without either of their first-round picks from the past two drafts, the Utah Jazz used grit to scrape by the Orlando Magic, 75–70, and advance in the Las Vegas Summer League Tournament. Diamond Stone, starting in place of injured center Tony Bradley (wrist), led the Jazz with 14 points, 11 rebounds and two blocks. While rookie guard Grayson Allen was rested, Georges Niang (12 points, 11 rebounds) and Stanton Kidd (9 points) helped extend the Jazz lead late in the fourth quarter. The Magic, who played without star lottery picks Mo Bamba and Jonathan Issac, were led by Troy Caupain, who had 14 points. Both teams combined to shoot 34 percent from the field. The Jazz are slated to play at 8:30 p.m. MDT Saturday against the Memphis Grizzlies. The rest of the tournament games will be single elimination.